People don’t have time to consume endless content. We have all seen all the listicles & generic post that are essentially just click-bait. We all think that we won’t subject our readers to the same old story, but it is surprisingly easy to fall into that trap. You need to be providing value to your audience – teach them something or make them feel something. Making someone smile is valuable, making someone feel like they are not alone in what they are feeling is valuable, teaching someone something new is valuable, giving real-life advice is valuable. There are a lot of ways to bring value to your audience so there is no excuse for not taking the time to do it. I would prefer that people cut back on the amount of content that they are creating & focus on bringing true value to their audience. People like to have an idea of what they’re getting before they click that Facebook link to go read your blog post. They automatically have an idea of what they will be getting when they click, & it can be very frustrating if a blog post doesn’t live up to your expectation. The other part of this is that you should have a consistent enough personal brand presence that people know what they are going to get from you. If you write humor pieces every week, don’t suddenly give people whiplash & start sharing angry or sad rants. However, this is not to say that you can’t shift – just be aware of doing it gradually & testing your audience. Your brand is allowed to grow with you as a you grow as a person, & there is always a fine line of keeping a consistent blog & brand while allowing it to change as-needed. Blog posts that go viral do well b/c people relate to them. It gives them a glimpse into themselves & a chance to share & say, “I do this too…” It gives people permission to reflect on their own behavior. Many times we don’t stop to analyze our own behavior until we run into someone else who is sharing a similar experience. 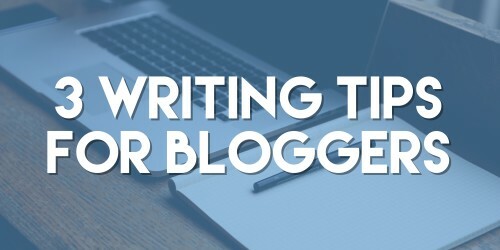 Blog posts have the ability to be introspective, personal, & powerful. It is always surprising how many feelings & behaviors seem universal when shared with the community around you. Why do you think those stupid Buzzfeed quizzes are so popular? B/c people love learning about themselves, telling people about themselves, & comparing themselves to others. Create content that people don’t have the confidence to write themselves, but they can’t help but share it out.